- Single grade laser plane with Upto 500m working range. - Horizontal accuracy upto 15 arc seconds. - Compact, Lightweight, Yet Rugged. - H.I. Alert prevents false readings. - Visible red laser makes laser projection clearly visible even at a distance. 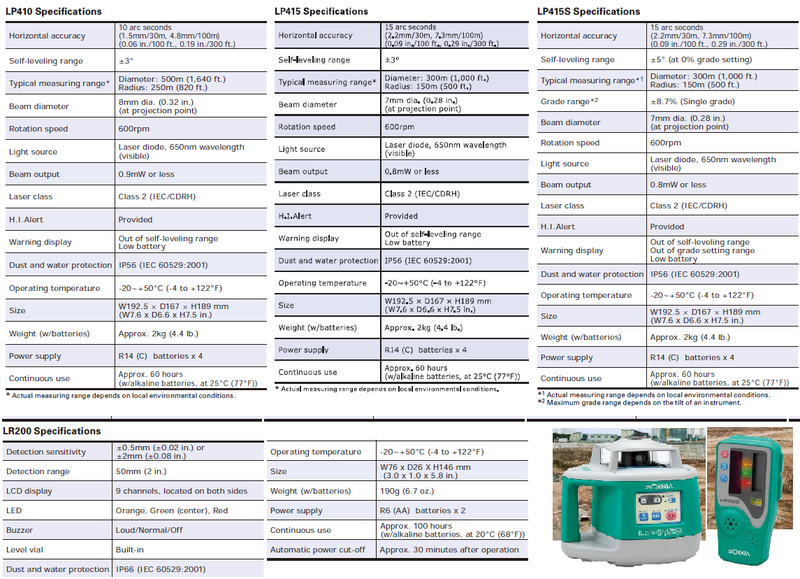 - LR200 advanced detector provides outstanding functionality and versatility. 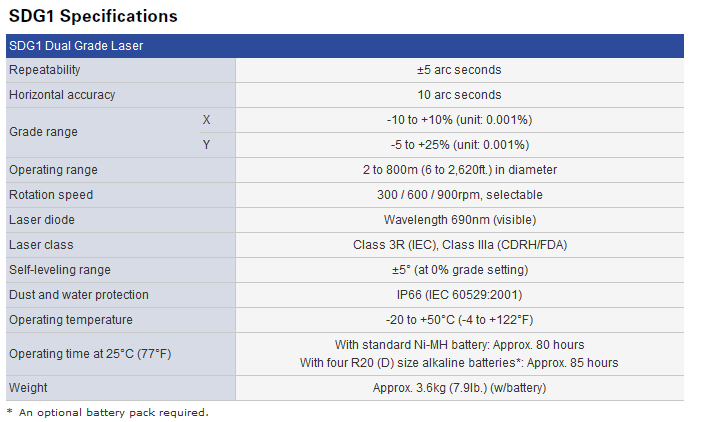 - High precision in grade settings to 0.001% increments over a range of -15 to +40%. - Slanted control panel provides easy viewing and operation in any situation. - Long power backup of upto 70hrs & Swappable battery. - Complete waterproof aluminium body to survive an accidental submersion in water. 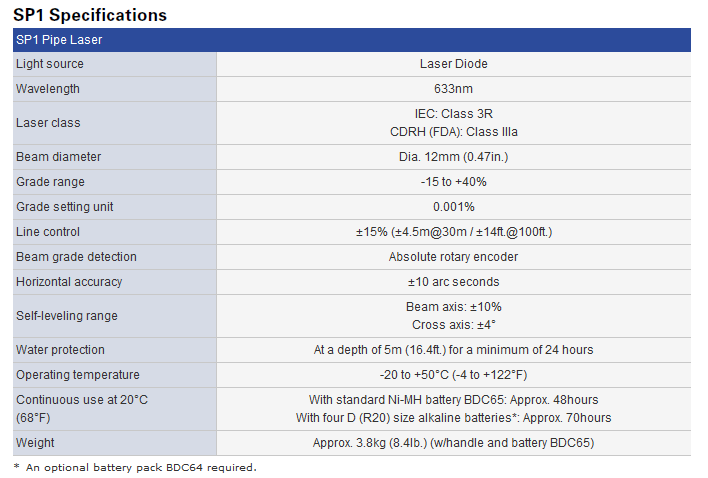 - High-intensity laser diode to improve spot visibility even under sunlit conditions. 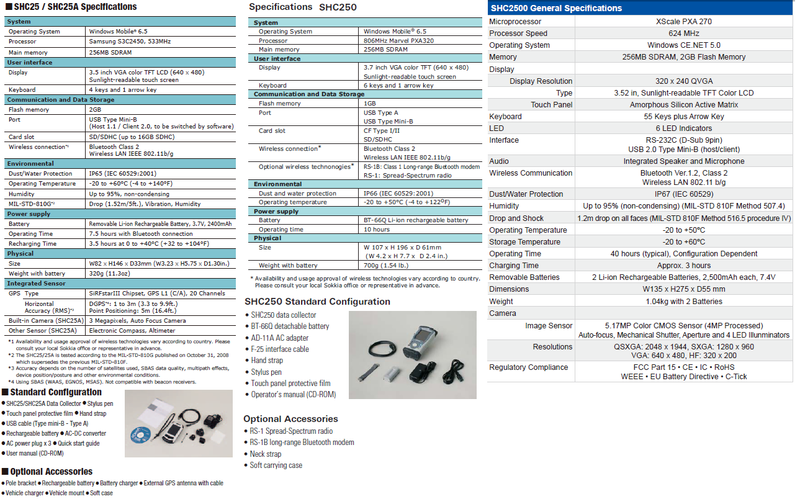 - SPRC1 remote controller with 200m (660ft.) range equipped as standard. - Auto controls the tilt of the rotating axis by constantly monitoring its inclination. 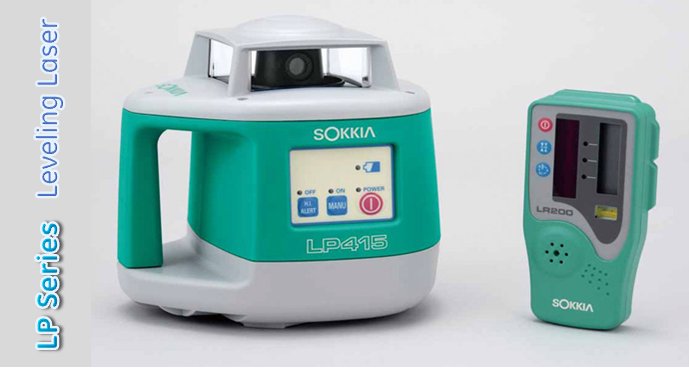 - Maintain accurate laser plane despite variations in environmental factors. - Highest levelling repeatability in the industry of 5 arc seconds. - Dual-grade plane ranges from -10% to +10% in the X axis and from -5% to +25% in the Y axis. - Provides working range of 800m (2,620 ft.) in diameter with the LR200 standard detector. - Full Wireless Control with LRC6 standard remote controller with same display and keys. - Projects upto four vertical lines, a 360° horizontal line, as well as a plumb down beam. 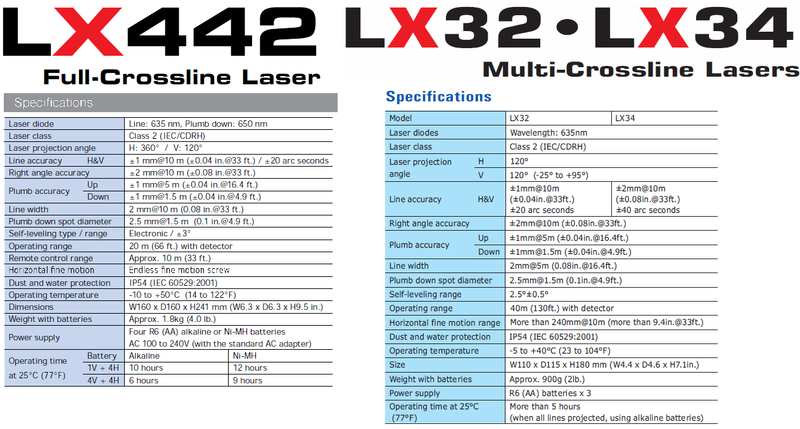 - High intensity laser diodes & advanced optical technology provide extremely bright laser lines. - Electronic self-levelling mechanism provides more stable lines even in sites subject to vibration. - Operating range up to 40m (130ft.) for exterior or general construction applications. 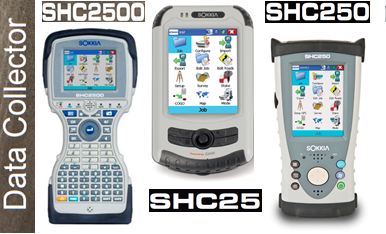 - Wireless control allows remote selection of horizontal and vertical lines, line-lock & detector mode. - Four blinking blue LEDs easily locate the instrument in dim light & all lines are turned off condition. - Touch Screen to Full alphanumeric 55 keys keyboard data collector. - 806MHz CPU, 256MB SDRAM, Memory upto 16 GB, Bluetooth Class 2 Wireless LAN IEEE 802.11b/g. - 3.7 inch VGA color TFT (640 x 480) Sunlight-readable. - Long battery life, Less battery recharging time. - Compact, Lightweight & Rugged design makes it easy to carry. - IP66 dust/water resistant housing protects against powder dust and sudden showers. - Built-in GIS Applications with 5.17 MP CMOS image sensor.